Blueberries are justifiably considered a super food, as the nutrient packed fruit offers health benefits galore, including a lowered risk of cancer. But just because a product says “blueberry” on the label doesn’t mean it actually contains any. From breakfast cereal to granola bars and muffins, you will likely find that these foods are made with artificial blueberry flavor, rather than real fruit. Buy the whole berries themselves to add blueberry flavor to foods that need it. Over the years, we have been trained to consider fat bad. We have been told that it is the main driver of weight gain and associated diseases. However, that’s not entirely true. We all need some fat in our diet, and certain “good” fats are absolutely critical for facilitating bodily processes. When food manufacturers take fat out of a product, they add in tons of sugar in order to make the food taste good. Science is now pointing to sugar as the bigger culprit in weight and health concerns, so it’s better to choose the full fat versions of things and simply watch your portion size. Both bottled and powdered teas cost significantly more than tea bags, and they come with way more sugar than you’d use at home. Check the label on that bottled tea you love – it may contain more sugar than a soda or slice of pie. The powdered mixes may even list sugar as their first ingredient, before tea! Make your tea at home to reap the health benefits and save some money at the same time. There’s no end to the variations you can do, such as combining different varieties of tea bags, using honey or fruit juice instead of sugar, and adding lemon or mint. The problem with store bought tomato sauce is two-fold. First, it costs many times more than the raw ingredients used, and second, it is typically loaded with sugar and salt. For much less money and just a little bit more time, you can make your sauce at home and probably enjoy it more. Tomatoes are plentiful and cheap in the summer, so why not spend one day making and canning sauce yourself? All it takes is crushed tomatoes, some vegetable stock, a little wine (if desired), salt and pepper, herbs of your choosing, and just a sprinkle of sugar. If you like, add your favorite vegetables, like onions, peppers, mushrooms, or carrots. Mix it all together and let simmer for an hour. You can either leave it chunky or blend it smooth before canning. 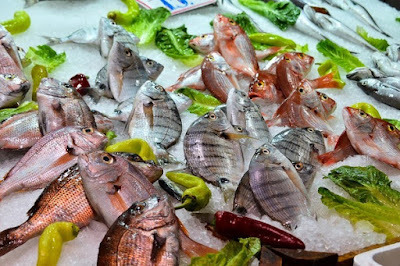 Eating fish that is high in mercury is the number one cause of mercury exposure in humans. Mercury gets spewed into the environment by coal using factories, and it then travels long distances through the air, eventually settling into major fish-containing waterways. Smaller fish absorb or ingest it, and then larger fish eat them, increasing their mercury concentration in the process. Therefore, larger predatory fish are more dangerous to eat. It’s best to avoid (or at least seriously limit) king mackerel, marlin, orange roughy, shark, swordfish, tilefish, ahi tuna, and bigeye tuna. It’s totally understandable that you need an energy boost first thing in the morning or during that mid-afternoon slump. But you are much better off if you get your caffeine from coffee or tea than an energy drink. First, these beverages deliver an insane amount of sugar along with the caffeine, but even worse, they are linked to numerous instances of heart attacks, convulsions, and deaths. The risk is definitely not worth the reward, especially when coffee and tea can both provide various health benefits beyond the energy boost. Unless you have been legitimately diagnosed with celiac disease or gluten intolerance, there is no reason to buy gluten free foods. They are not necessarily even healthier than standard fare, as they still contain artificial ingredients and a ton of sugar to make up for the missing gluten. You’ll also be forgoing necessary dietary fiber and the vitamins that fortify many regular products, so an effort must be made to compensate for that. To top it off, you’ll be spending twice as much on a gluten-free version of something. It’s not a smart choice unless you actually need to forgo gluten for your health. Bottled water is a bad buy for several reasons. First of all, it is very expensive compared to your tap water, and not necessarily of better quality, either. Many bottlers get their water from the same municipal source as serves your home. Bottled water is also an environmental disaster – making and shipping all those bottles consumes a lot of fossil fuel, and many tons of the discarded plastic ends up in landfills and oceans every year. Even with the cost of at-home water filters, you will come out ahead financially if you fill a reusable bottle, and you’ll do the environment a favor as well. It can be convenient to buy pre-formed meat patties, but you sure pay a huge mark-up for the few minutes you’ll be saving. It really takes next to no time at all to form burgers, and you have the added bonus of being able to season them creatively. If you’re still tempted to be lazy about this, you should know that there is evidence that pre-formed meat patties contain more E. coli than regular ground beef; most of the recent beef recalls have been for pre-made frozen patties. So whether you do it for your health or the health of the planet, try cutting these 10 items from your shopping list for good. We all want to make purchases we can feel good about, and it is so frustrating to be taken in by deceptive or incomplete information about a product. Whole foods, made fresh at home, can be a real lifesaver in this regard – there is no way for them to masquerade as something they’re not.